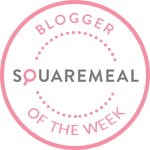 Emily's Recipes and Reviews | UK Food Blog | Leicestershire : the botanist, london. With sleek black canopies, beautifully large windows and The Botanist etched in striking typography, this established eatery can be found at No. 7 Sloane Square in the affluent district of chelsea. Here you'll find a menu of brilliant breakfasts, light lunches, pre theatre menus and cocktails galore. I went along to try their brunch menu last week, and may have ended up with something a little more interesting than my usual avocado and poached eggs. A continuation of the botanical theme, the interior is embellished with intricate illustrations of plants, flowers and insects. With fresh flowers on every table, the venue is split up by a mirrored bar, well lit dining area and outdoor seating. Sat down and ready for gooey poached eggs and stacks of their famous pancakes, I was presented with a five word dilemma. Ice Cream for Breakfast Day. It was 10.30am on a Saturday and there were poached eggs aplenty in the bustling restaurant. I really liked the idea of ice cream for breakfast, but would I end up with major food envy if I wasn't a fan? We ordered a couple their signature hot chocolates to mull it over. By the way, if you're just popping in for a drink, you really must try this. It has all the best elements of a luxurious hot chocolate, without being too bitter, sweet, sickly or creamy. It's just divine, and comes with a cinnamon infused chocolate stick which melts into the drink. 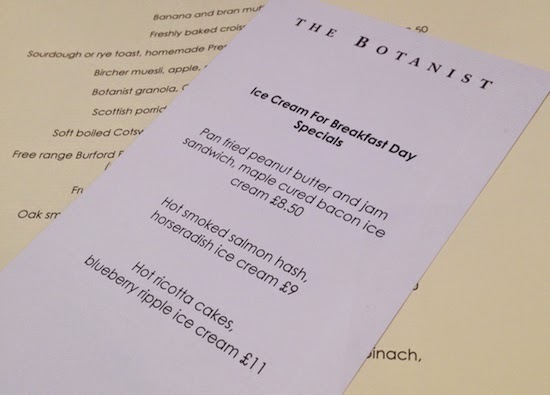 So for brunch, I opted for the Hot Smoked Salmon Hash with Horseradish Ice Cream (£9), whilst my dining partner went for the Blueberry Buttermilk Pancakes with Smoked Streaky Bacon and Maple Syrup (£11.50). Stepping out of my comfort zone had fully paid off this time. The light potato hash had chunky pieces of salmon running through, along with hints of lemon and herbs. The smoked salmon brought an extra element of freshness to the plate and an interlude before the coolness of the ice cream. unsurprisingly, the horseradish worked exceptionally well with the salmon, and it actually wasn't that weird eating ice cream at that time of day. It reminded me of wasabi ice cream, which has the hit of almost eyewatering flavour but a smooth taste. My pal thoroughly enjoyed her breakfast too; a generous portion with fabulous flavours. I tried a little of the spongy syrupy pancake, vowing I'll be back to have it for myself. The service was friendly and polished, with our waitress in particular being super lovely and knowledgable about the menu. she even came back to see what i thought of the ice cream dish. perhaps I was the only one that had opted for it? For Made in Chelsea fans, The Botanist may ring a bell as one of the cast's favourite haunts. Spencer spotting or not, make sure your number one priority is sampling their delightful food. Even better, you can book online in advance, which is a bonus for me when visiting the capital. Where's your favourite place for breakfast in London? 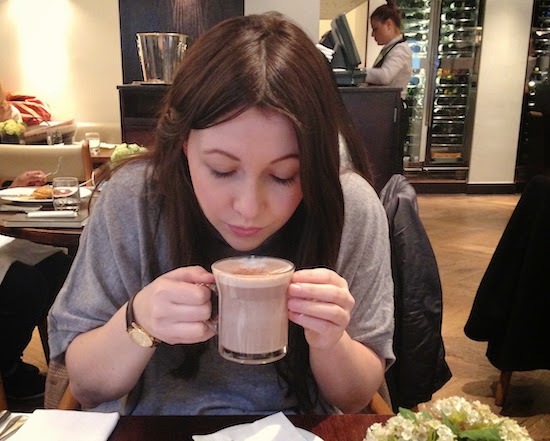 Have you been to The Botanist or any of the local Chelsea hangouts? For somewhere closer to King's Cross, I recommend Caravan. or if you're further east of the city, head to The Book Club in Shoreditch. for a marvellous matcha green tea latte, the Modern Pantry gets my vote. or for an Indian twist on the most important meal of the day, it has to be Dishoom. note: we paid for our own meals. all opinions as always are honest and my own. Look at those pancakes! Ice cream for breakfast is a very cute idea but pancakes with bacon can't be beat! Look at those incredible pancakes! I'm drooling! Ice cream for breakfast. Brilliant! Oh, and as a hot chocolate fanatic, thanks for the tip!